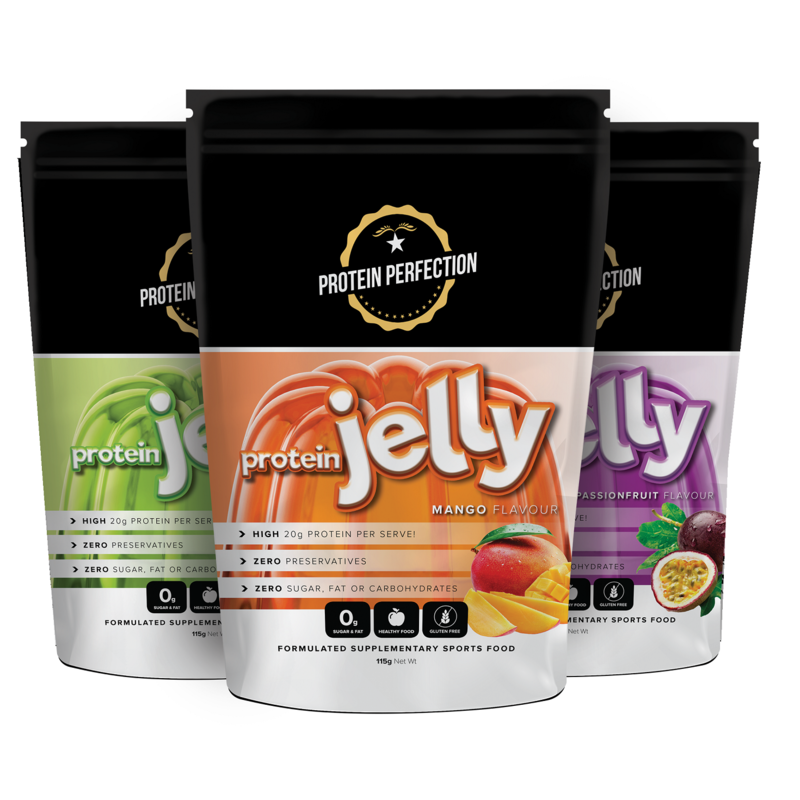 Protein Perfection – Protein Jelly is another revolutionary new healthy product developed by the food scientists at Protein Perfection. This product has zero sugar, fats and carbohydrates! That’s right! A healthy delicious jelly snack full of protein you need! We understand that getting the right amount of protein in your diet can be a pain! This is why the food scientists at “Protein Perfection” has created a “DELICIOUS” way to get more protein into your diet! “Protein Perfection” Product range only uses the highest quality ingredients and is used for general health, wellness and fitness applications. The product range from “Protein Perfection” is so high in quality, it has been continually recommended by specific dietitians and professional practitioners to applicable patients. The quality you know and trust “Protein Perfection”. Mix 1 scoop with 300ml of hot water and place into fridge overnight (9-12 hours) until fully set. Once the Jelly has set, please consume jelly within 24 – 48 hours for maximum taste. This Jelly has been designed to offer the best taste up to 48 hours of setting.